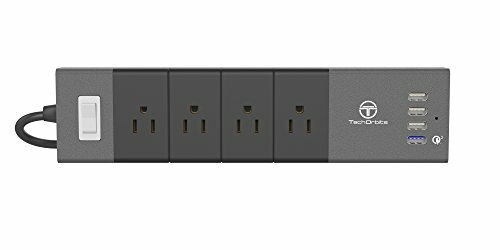 Great power strip, and excelent price for features. How did i live without this??? Convient charger/power strip reduces amount of wires, Great Customer Service ! Four, quick charging USB ports ???????????????? We counted 16 reviews for this product over the span of 34 days, an average of 0.5 reviews per day. If these reviews were created randomly, there would be a 99.9% chance that we would see 4 or fewer reviews on any given day. We didn't find any days exceeding this threshold.